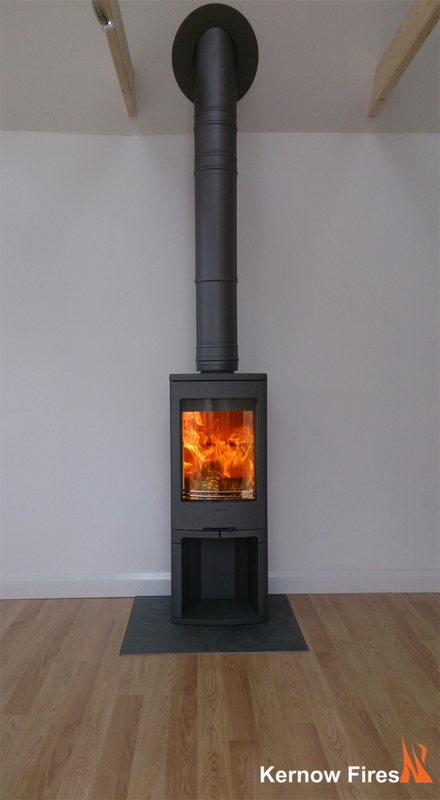 Contura 750 wood burning stove installation from Kernow Fires. 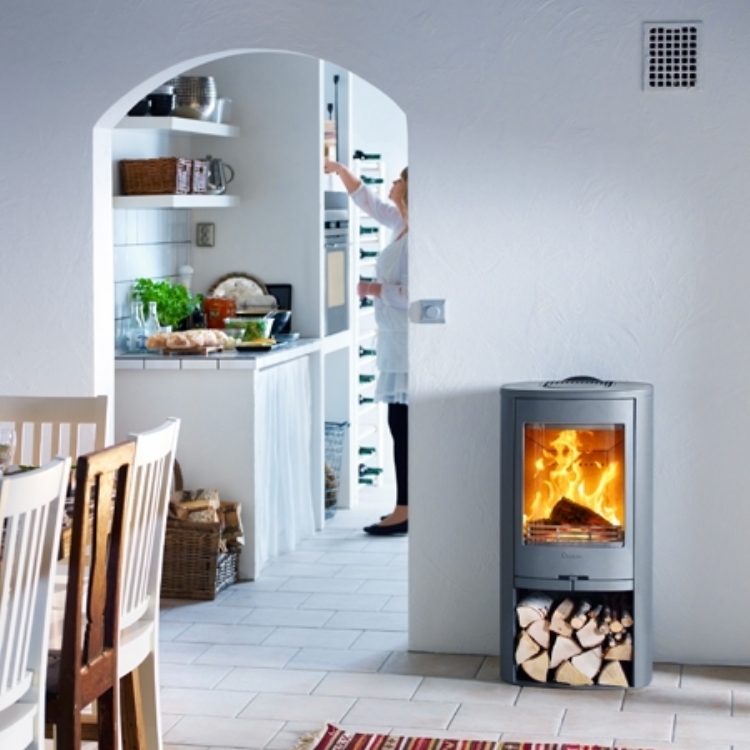 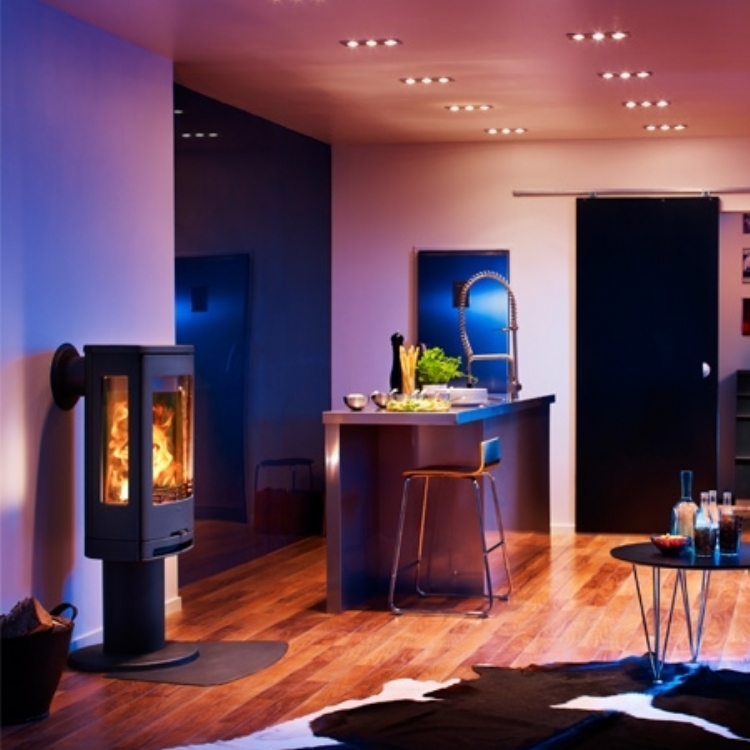 The Contura 750 is a tall elegant stove with log storage underneath dispensing with the need to a log basket and keeping the fireplace area as clear of clutter as possible. 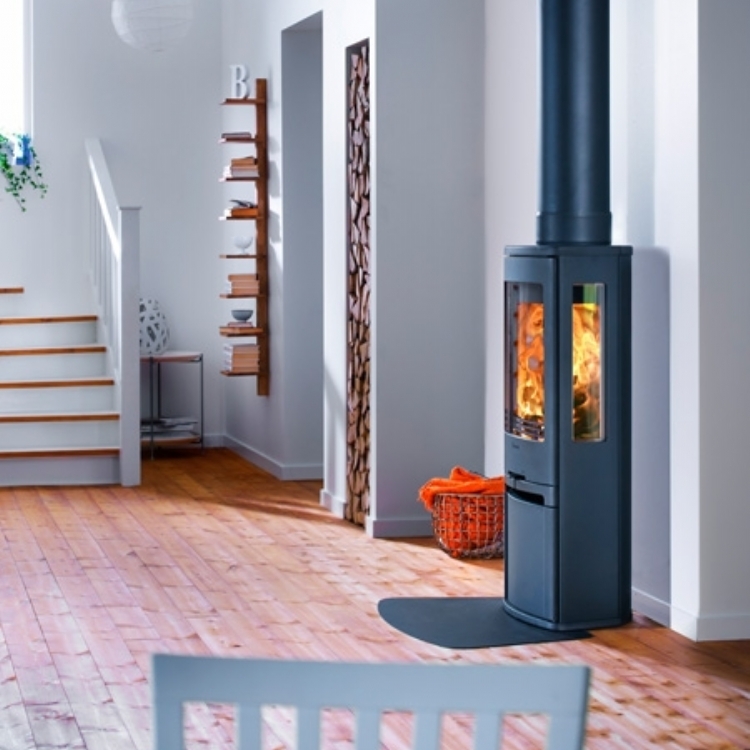 The flue continues straight up through the vaulted ceiling and we finish it perfectly with a specially made decorative trim plate with the flue and trim plate painted to match the fire.